Chapman shares her thoughts and opinions about several recent issues, including the recent St. Louis Post-Dispatch article, which details expert opinions saying that “fear may be overblown and even misplaced” about the radiation risks in West Lake and Coldwater Creek areas. Also, the online threats to the EPA and other authorities on the Facebook page administered by Chapman and others, which caused the EPA to cancel an appearance at a public meeting. Corrigan also asks about the outcome of the group’s trip to Washington D.C. visit to the White House, the United Nations, and members of Congress about the West Lake Landfill issues, and what it is like to try and balance family, being a mother, and being thrust into the advocate spotlight. 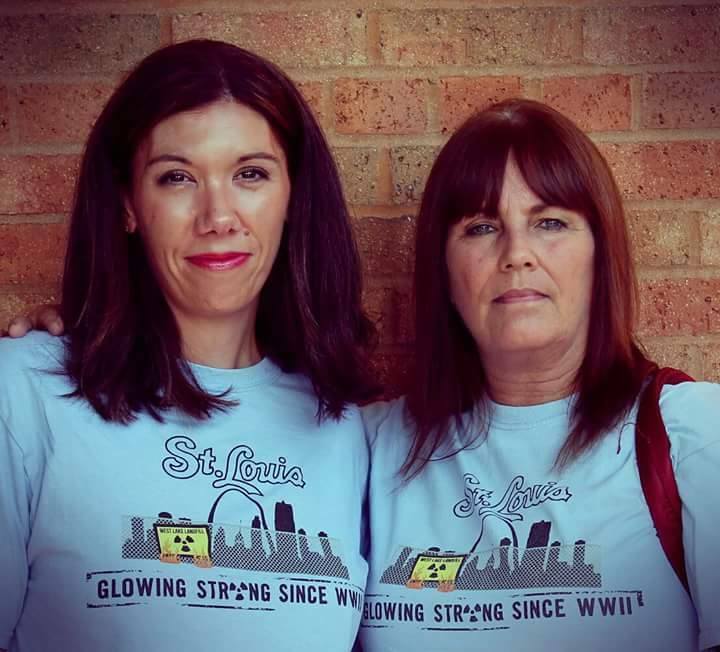 The Just Moms STL group is a community organization that works to bring awareness and attention to the Bridgeton and Westlake Landfill where an underground fire has slowly been creeping toward nuclear waste. This entry was posted in Environment, Home, Podcasts. Bookmark the permalink. Bob Snyder, Bud Barnes, and George Hoblitzelle served in the state house. Even in the minority, their service reflected a commitment to the public interest. They were respected by their Democratic adversaries and routinely worked together for the common good of the people of Missouri. Today it seems the Republicans in the legislature have descended into an ideological hell that could be dragging our entire state with them. a follow up on this interview podcast next week — and article being published in Gateway Journalism Review about the Post story on Westlake and the MOMS’ reactions.